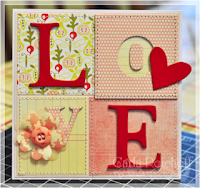 She shares a tutorial and shows us how to make it on the Scrapbook Cards blog here. Manuela makes a neat little valentines day tree which would be great for the kids to make. 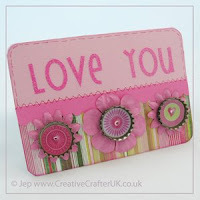 Creative UK Crafter is giving away a sheet of free valentine's bottle cap printables that you can use on your mini albums, cards and altered projects. Print em off, cut em out, and tick em to your bottle caps for a fab looking charm. Love this little tin of candies made by Amanda Muirhead, check the rest of the post for some great layouts and altered bottles. A Sweet heart shaped Valentine's mini album at Sue's Stamping Stuff made with her nestie hearts. It's a lot like a star album with some subtle differences. 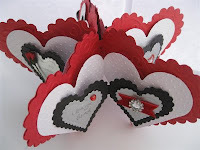 Kerin's Altered mini magazine holder and valentines cards. Chelsea make some shabby chic valentines magnets, cards and gift tags, love that vintage look. Also loving this homemade valentines family frame. I'm reading: more Valentine's Day Scrapbook ProjectsTweet this! These are super! My BFF and I have just got addicted to these in the past few months...thanks for sharing all these links! Thank you for featuring my card and my blog link on your blog. Great projects featured for Valentines on here. I am so glad you stumbled on my blog.... I have been looking at your projects and they are awesome!! I added a link on my blog so other can find you... Thanks for the inspiration!! Love all the projects! TFS! Thanks for featuring my mailboxes! I just discovered they were on here. Great work Peata with all the great updates.